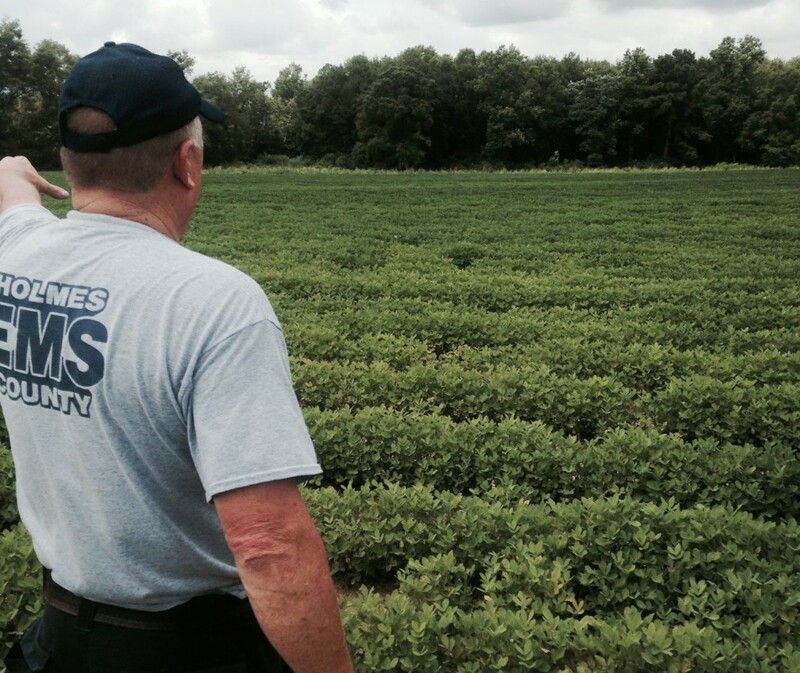 Recently, I have visited several peanut fields in Holmes County that are demonstrating yellowing foliage that is easily observed from a passing vehicle. There are several possible causes of symptoms like this including nitrogen problems due to wet soils or poor nodulation of roots, disease conditions like white mold, or a nutrient deficiency or toxicity. 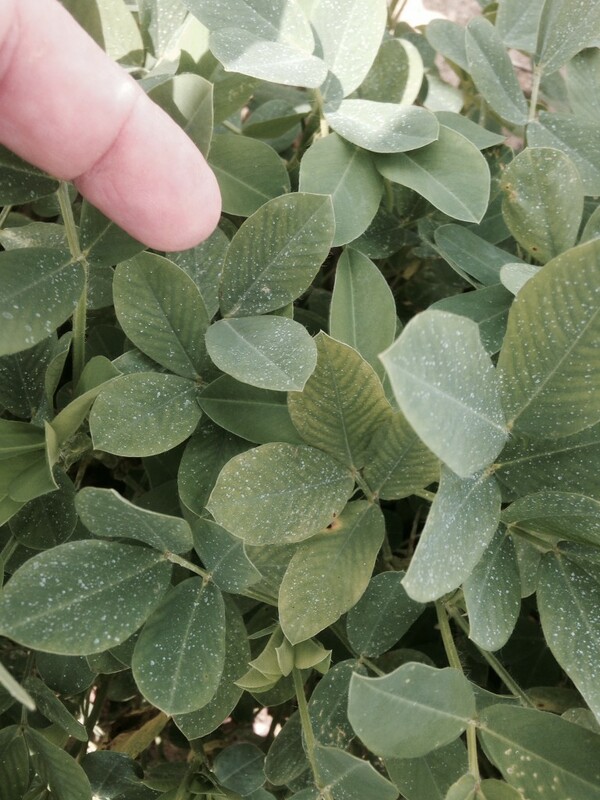 In the case of the peanuts pictured above, the fields were experiencing a manganese (Mn) deficiency as seen in photo 1 and photo 2. Manganese deficiency results in an interveinal chlorosis that typically shows on young leaves or new growth, but in severe situations may be observed on the entire plant. 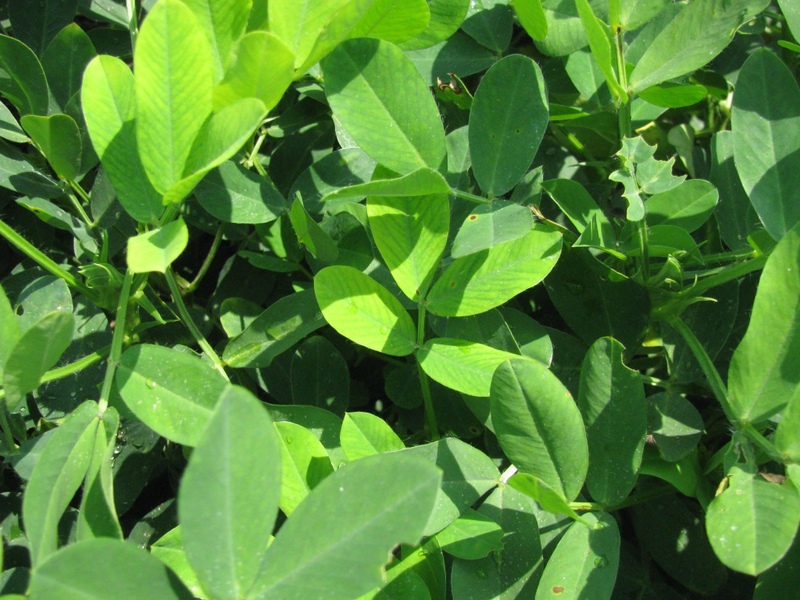 High soil pH levels often result in this deficiency in peanuts, especially if soil levels of Mn are low. In this field of peanuts the soil pH actually tested at 7.6, resulting in a Mn deficiency! A broadcast spray of manganese is warranted if the deficiency occurs at this stage of the growing season. The University of Georgia recommends using 1/2 pound Mn per acre as manganese sulfate or 0.15 to 0.25 pound Mn per acre as chelated Mn in 20 gallons of water per acre. If symptoms persist, the spray should be repeated at 2 week intervals. In most cases, multiple applications will be required. For more information see the UGA Peanut Production Guide or contact your local UF/IFAS Extension Agent.